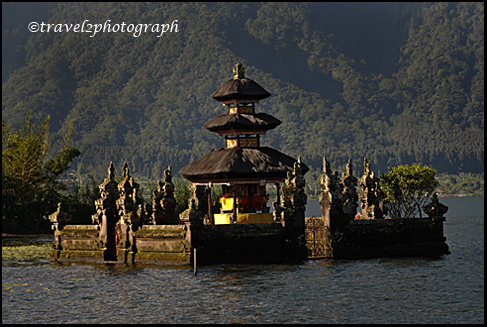 Ulun Danu Temple is located in the village of Bedugul, in the Tabanan region, about 62 km from Denpasar. 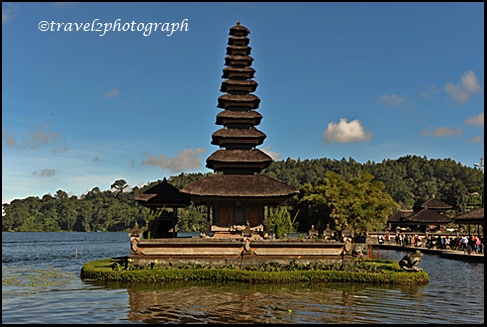 The temple of the Lake Goddess at Bratan is one of Bali’s most visited and most spiritually important Balinese temples. 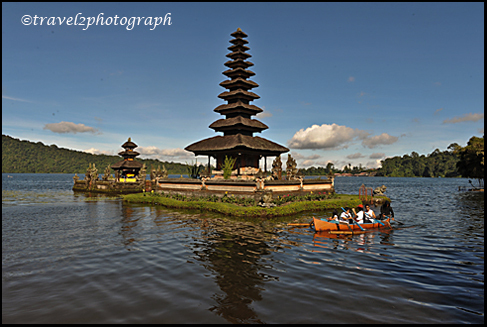 This temple is dedicated to Dewi Danu, the Goddess of the Water and the Bratan Lake. The temple was founded in the 17th century and it is the focus of numerous ceremonies and pilgrimages to ensure the supply of water. 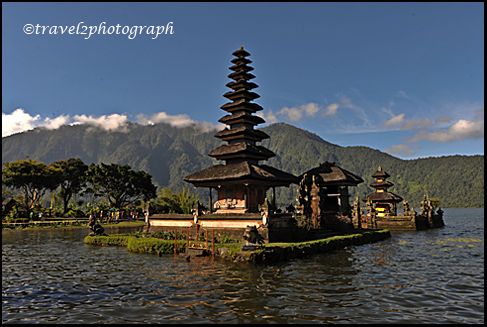 The temple sits on the shore of the lake. 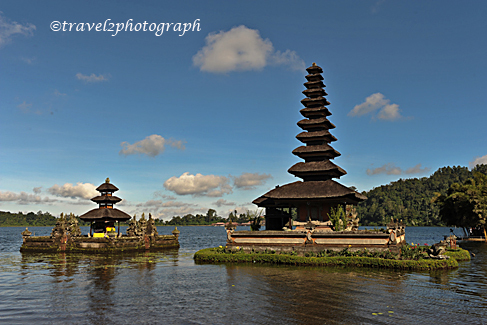 The Ulun Danu Temple has a classical Hindu thatched roof ( multi roofed shrine ) called Meru. 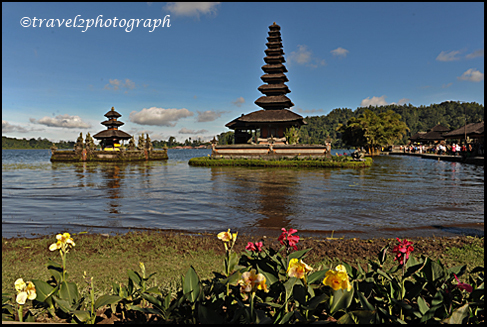 The unforgettable surround setting is typical Balinese. At the edge of Bratan Lake irises bloom in shades of yellow, fuchsia and magenta; young girls and old men fish in clusters among the tiger lilies whilst the misty peak of a dormant volcano emerges in the distance. It’s a most picturesque view that you must experience.